Yes, stiff knees and creaky elbows are as much a part of growing old for dogs as they are for use humans. Veterinary surveys suggests that 20 percent of adult dogs will develop osteoarthritis, also known as degenerative joint disease – a painful inflammation of these vulnerable areas. It’s usually a part of the normal aging process and is the most common form of arthritis. Occasionally, rheumatoid arthritis affects dogs, too. Whatever the cause, because dogs tend to run around a lot more than we dog, arthritis can be real check to their good times. But while it can’t be cured, it’s possible to give your dog a lot of relief. In most cases, you can’t predict when arthritis will start r, indeed, if your dog will develop it, but there are some circumstances that make it more likely. If your dog has a history of hip dysplasia, elbow dysplasia or Osteochondorsis (a condition in which bone and cartilage in the joints break down), then there’s a very good chance that she will get osteoarthritis. Apart from these instances, arthritic changes tend to appear when a dog has reached about 75 percent of her estimated life span – around 7 years old for a large dog and up to 11 or 12 years for a small dog. However, there’s nothing inevitable about arthritis and many dogs never get it. You’ll know that your dog is one of the unlucky ones when you notice that her joints seem stiff and sore or she show signs of lameness. She may also have difficulty getting up, especially after she’s been resting or sleeping for a while. And you may hear her whimpering while she tries to get about. If you think your dog has arthritis, it’s important that she is checked by your vet. He’ll not only provide medical help, but will also recommend a number of simple home remedies that can bring big benefits. There isn’t a cure for arthritis, but there’s a lot you can do at home to relieve the pain and improve joint mobility. And chances are your dog will be happy, healthy and moving right along for years to come. Keeping her weight down. “Don’t let your arthritic dog get overweight,” says G. G. Keller, D.V.M., a veterinary radiologist and the executive director of the Orthopedic Foundation for Animals. Extra pounds just put stress on joints that are already overloaded. There’s no need to put her on a crash diet, though. Take the weight off gradually, over the course of about 12 weeks, by going easy on the treats and table tidbits you give her. A food with less fat and more fiber might also make her load a little lighter. 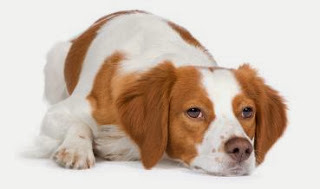 Keeping your dog trim is especially important if she has Osteochondorsis or hip dysplasia. Reducing the burden on her joints can sometimes postpone the onset of arthritis by many years. Get her moving. Dogs with arthritis are often quite sedentary, simply because their owners are nervous about causing additional pain. But exercise is very important because it keeps the joints working, which improves mobility. Plus, exercise makes the muscles stronger, which will help keep her joints stable. “Naturally, you won’t exercise your dog when she is lame or hurting,” says Dr. Keller. The key is regular, gentle exercise, rather than getting your dog to be a competitive athlete. A leisurely 20 minute walk twice a day will be just fine. And remember that swimming is also an excellent from of exercise for a dog, especially one with arthritis, because her legs get a rest from supporting her weight. The water does it instead, and that reduces pressure on those aching joints. Give some hands-on care. You know how good a massage fees to tired muscles and joints. Well, your dog will enjoy a brisk massage to her achy bits almost as much as you do, especially after her walk. Massage doesn’t have to be fancy. Just use your hands and fingertips to rub the sore areas in small, circular movements. Then gradually knead gently around the affected area and back again. This will increase the blood flow to the muscles and provide her with temporary, soothing relief – and she won’t mind all the extra attention at all. Keep out the cold. “Dogs with arthritis can be affected by adverse weather conditions,” says Dr. Keller. So one those cold, wet days, you may want to offer her some additional comfort, such as an extra blanket or a layer of bedding. A massage will warm things up a bit, and even though she won’t thank you for it at the time, a warm bath can help joints stay loose and limber, resulting in fewer creaks and groans later on. Even though there isn’t a cure for arthritis, there are a number of medications that can ease the pain and keep her comfortable. There are dozens of drugs to choose from, but one of the most effective is also the older and least expensive: aspirin. It not only relieves pain, but also reduces the joint inflammation that often goes with arthritis. When the arthritic aches are flaring, vets usually recommend that you give about a quarter of a 325 – milligram tablet for every ten pounds of pooch. To be safe, it’s always best to check with your vet before giving aspirin (or any medication, for that matter) to your dog. Another medication that your vet may prescribe is carprofen (Rimadyl). “It’s a new veterinary drug, similar to aspirin, but causes even less stomach irritation,” says Lester Mandelker, D.V.M., a veterinarian in private practice in Largo, Florida, and co-author of Burns Pharmaceutical Index. “Nutritional supplements such as Cosequin and Glycoflex are purported to help dogs with arthritis,” adds Dr. Keller. They contain nutrients that help form and repair cartilage. “But, to date, there has been no scientific proof that these supplements work.” Your vet will recommend the product that best suits your dog’s needs.